And it’s about…. science. Kind of. Queen Elizabeth II during a visit to the Science Museum. QUEEN ELIZABETH HAS posted to Instagram for the first time. The Queen of England took to the royal family’s account on the image-based social media to share a picture of an 150-year-old letter addressed to Prince Albert. The Queen was visiting the Science Museum today which had the letter on display. Today, as I visit the Science Museum, I was interested to discover a letter from the Royal Archives, written in 1843 to my great-great-grandfather Prince Albert. In the letter, Babbage told Queen Victoria and Prince Albert about his invention the ‘Analytical Engine’ upon which the first computer programmes were created by Ada Lovelace, a daughter of Lord Byron. 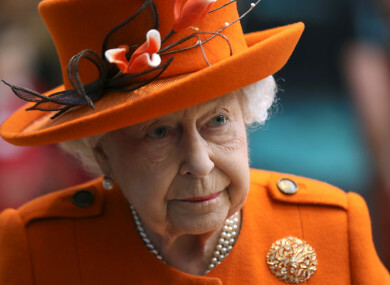 The 92-year-old monarch shared her first Instagram post to the account’s 4.7 million followers. The post had over 150,000 likes at the time of writing. Email “The Queen has posted to Instagram for the first time”. Feedback on “The Queen has posted to Instagram for the first time”.